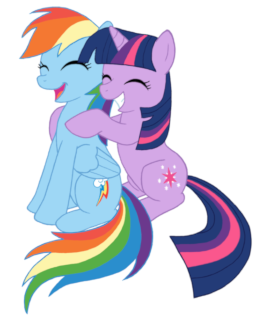 Rainbow confesses her love to Twilight in a roundabout way. On a mission to reform her, Twilight Sparkle and Chrysalis accidentally swap bodies; however, seeing the world through the other's eyes proves to be more difficult and more enlightening than either could have imagined. 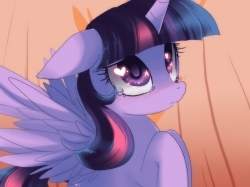 Twilight Sparkle and her friends prepare to welcome a new shopkeeper to town, but are they ready for the lifestyle this Manehatten mare brings with her? 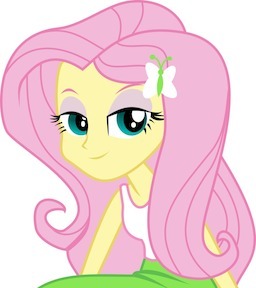 Diamond Tiara is forced to spend her summer at Sweet Apple Acres with Apple Bloom, where her haughty personality collides with the stubborn lifestyle of the farmers. 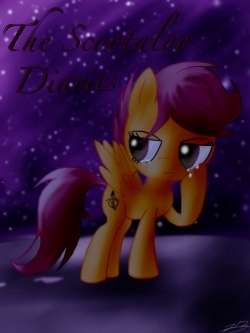 A filly forced to mature before her time, Scootaloo finds many challenges that a pony her age should never have to face alone. She discovers fear, loneliness, sorrow, happiness, and even love. Through her diary, her young life is unveiled. 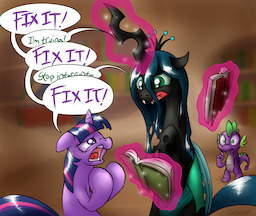 Twilight Sparkle uses Pinkie to learn more about a rare phenomenon. 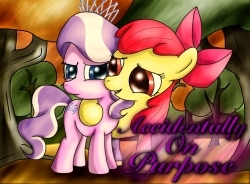 Sunset Shimmer can hardly control herself around Twilight Sparkle due to a sudden and powerful attraction overcoming her. Her troubles turn around once she discovers the pull is mutual. 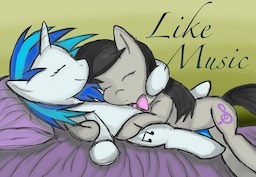 Not only is it mutual... it's magical! Sloppy kisses ensue. 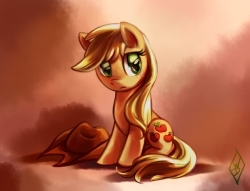 Applejack is forced to say goodbye. 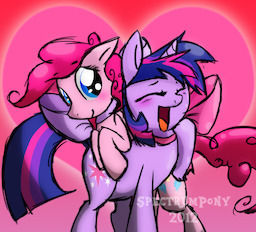 The Cutie Mark Crusaders have a sleepover. When things seem too good to be true, they are. 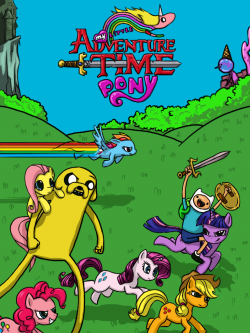 Join Finn and Jake as they fight to protect Equestria and find a way back to Ooo. Sometimes a girl just wants to grab her best friend and make out with her. Sometimes the feeling is mutual. 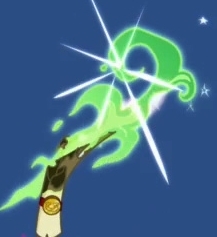 Twilight sends a letter to Celestia.